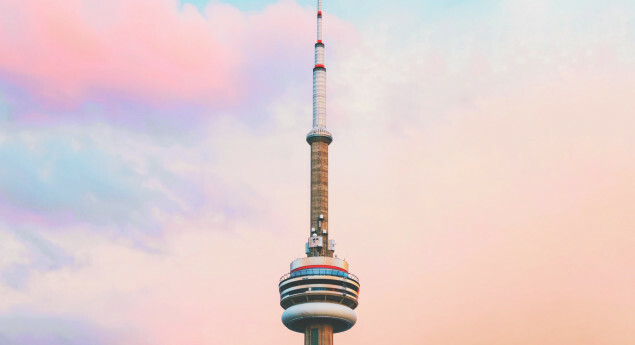 A symbol of Toronto's skyline, the Canadian National Tower stands at 553.33 meters high, and on top of being a key tourist destination, it also acts as a communications and observation tower. 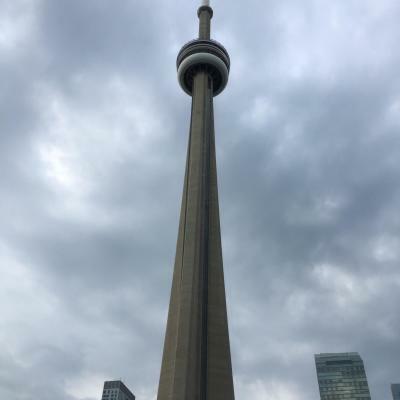 The Canadian National Tower is an amazing trip! 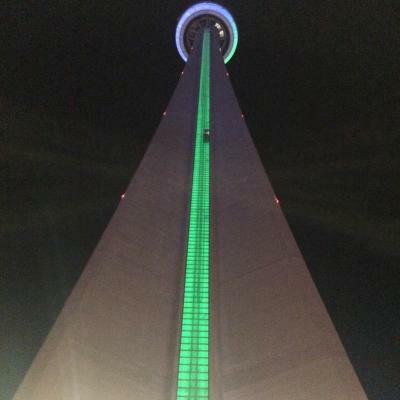 The glass floor used to be the most terrifying part of it but you can now be part of an Edgewalk! Where you are walking outside!! on top of the dome! I have yet to experience the Edgewalk but it is on my bucketlist! 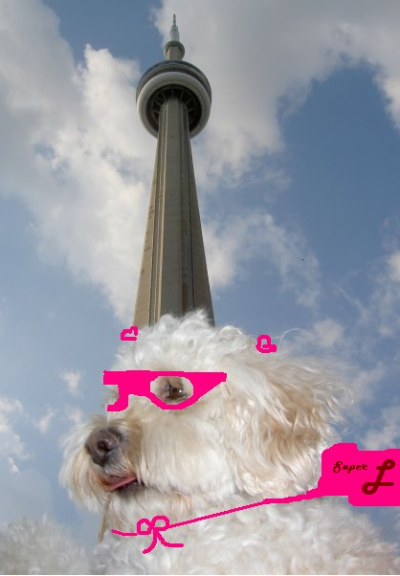 I have been to the CN Tower a few times. I had never stepped foot on the glass floor because it freaked me out, but my friends finally convinced me to. It felt good to finally get over the little fear I had and I even got to help convince others to step on it too. 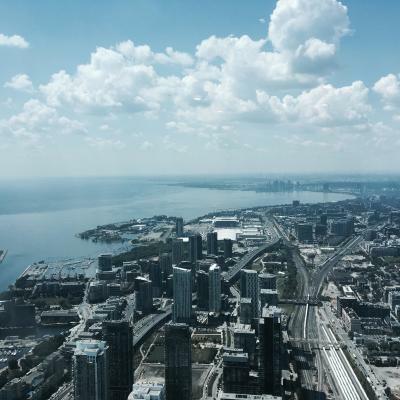 I stepped onto the glass floor of the CN Tower and I'm not normally scared of heights but when I looked down I jumped off it as quickly as I could. 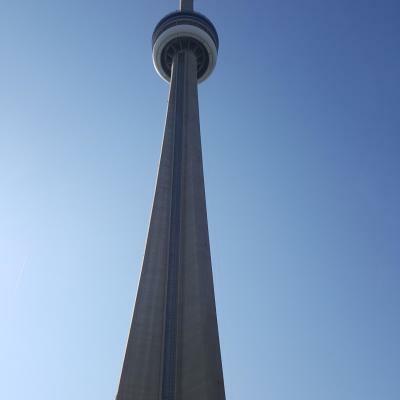 Yikes that's a tall 1820 feet! 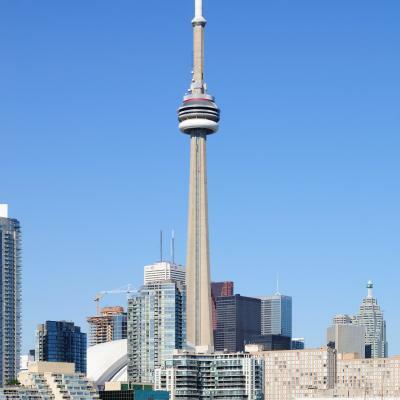 The CN Tower gets struck approximately ___ times a year by lightning.